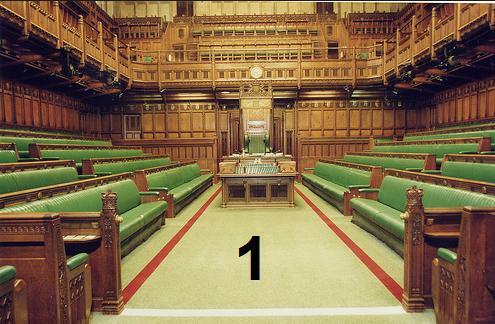 On Sunday 10th May 2015, I anticipate that I will be waiting to hear the results of several days closed-door coalition negotiations, all depending on what number of MPS each of the four major parties won on 7th May. I plan to vote Green. One reason why I do not plan to vote Labour: look to your right. Immigrants are not the problem. 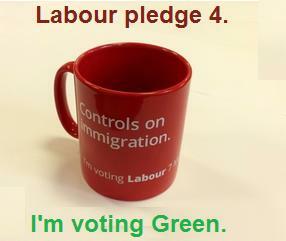 The problem here then is not the mug, but what the mug reminds us of: just how wrong Labour are on immigration. The proposed policies centre around the idea that immigration needs to be managed, the implication being that it’s out of control. This is a response to the belief that New Labour let far too many immigrants come into the country – Miliband has branded this a mistake on numerous occasions. 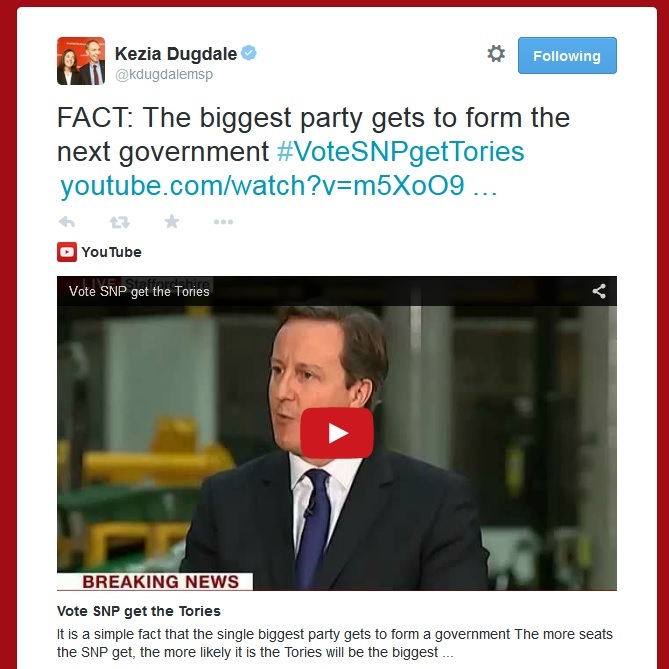 At 3:44 PM on 4th Feb 2015, Kezia Dugdale, deputy leader of Scottish Labour, tweeted “FACT: The biggest party gets to form the next government”, added the hashtag #voteSNPgetTories, and a link to a Youtube video on the Scottish Labour Party channel. 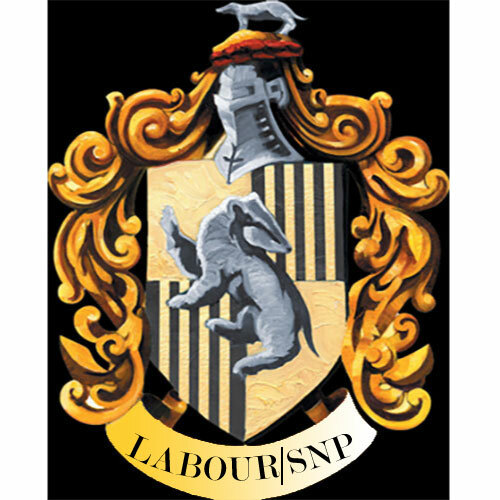 While “Vote SNP Get Tories” is a valid slogan for the Labour Party to use – a tad simplistic, given the options of the Sorting Hat, but valid electioneering – to claim as “fact” that the party with the most seats gets to form the next government is wilfully misleading. 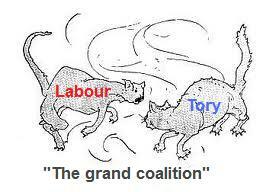 First-past-the-post voting systems don’t lend themselves to coalition government. But that’s what we’ve got, and there are four possible governments we could have after the General Election on 7th May 2015. How we vote on that Thursday in just over three months time has very little to do with the government we’ll end up with. The rise in support for the Greens across the UK no more translates into increased numbers of MPs than the rise of support for UKIP means they’ll become a major party. But the SNP are likely to be the third or fourth largest party in Westminster after May 2015. Electoral analysis shows a huge swing to the SNP across Scotland, which – if we had a more representative electoral system – could translate to over forty seats for the SNP (Labour down to seven MPs and LibDems to one), But just as the tremendous fall in LibDem support isn’t likely to be reflected in an equivalent loss of seats – Greens are more popular than LibDems but aren’t likely to do more than retain their one MP – the Labour wipeout isn’t expected to be as extreme as a naive reading of the polling figures would suggest. 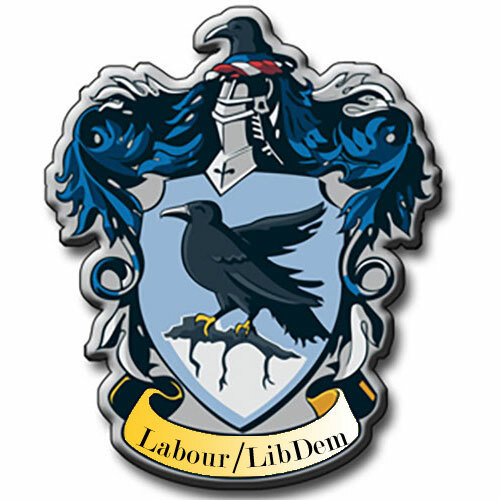 I’m discounting the Voldemort option – Tory majority or Tory/UKIP coalition – because this is not a probable option. The Tories can’t win a majority, and UKIP can’t win enough seats to help them out. 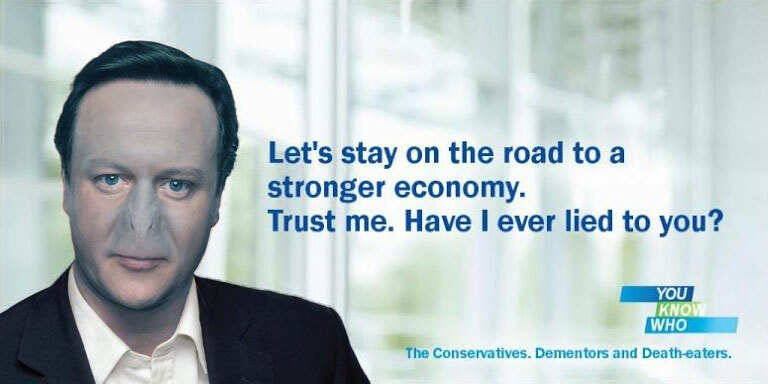 On Thursday 7th May 2015, there will be a general election in the UK. There can only be a general election earlier than 7th May 2020 if either a majority vote in the Commons agrees “That this House has no confidence in Her Majesty’s Government” and a saving majority is not found within fourteen days: or if at least 434 MPs vote to call an early parliamentary general election. Neither is a likely option. If a party can command the loyalty of 434 MPs they have a 109+ majority in the Commons and are very unlikely to want an early general election. Steve Bell’s shtick is picking a comparator for a politician whom he knows he’s going to have to draw a lot. Nick Clegg as cardboard figure with massive chin. Edwina Currie as giant chicken. John Prescott as a toothless bulldog. Nicola Sturgeon has just become one of those politicians, as the very-soon-to-be First Minister of Scotland. He’s never kind, never affectionate. So it can feel hurtful. Afterwards, you realise it’s very funny and clever, but at the time you feel miffed that your enormous contribution to the country is not being recognised. Does it make you feel better when you see your political rivals skewered? Oh yes! Steve Bell is a remarkable talent. I’m not in the least surprised at his longevity. Long may he continue. So, Steve Bell might have picked something offensive, it might have been funny, it might have been clarifying or illuminating or silly, but the shtick Steve Bell seems to have chosen for Nicola Sturgeon is… Hitler.